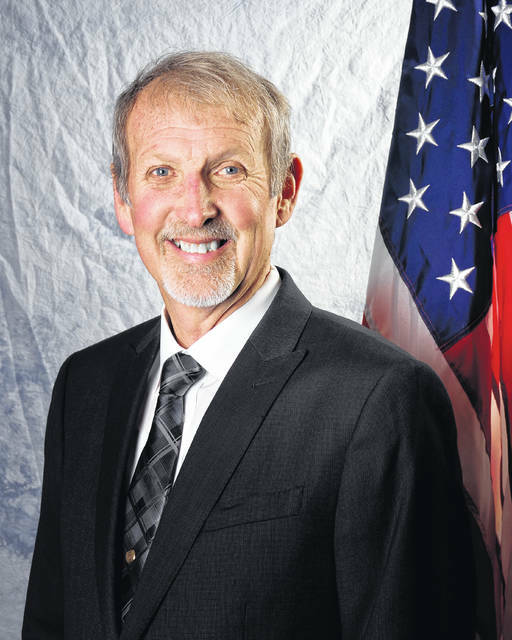 POMEROY — Tim Ihle is one of two candidates for Meigs County Commissioner. I believe the culmination of our entire life’s experiences is what makes us the person that we are. Leave any one little detail out and we are less the person. Picking strawberries in the bottoms in my youth for a nickel for each quart taught me the value of a dollar. Watching my dad row a boat through the streets of Racine through flood waters to cross the swift river to work at Sporn is what a dad will do for his family. The learned experience of owning and managing a construction business and a convenience store, and paying my employees and expenses before I got paid, taught me efficiency and prudent responsibility. Heeding the call of Christ and serving in many aspects of the ministry brings the spirit of truth and with that you are destined to prosper and succeed in all you do. My loving wife Jane, daughter Sara Ihle Will, son Aaron T., and their respective families; as well as my grandchildren Noah, Jack and Creek, make up my core support. The very fabric of our being is demonstrated in our family structure, by the love and support that we offer one another to help overcome our daily adversaries. I have been so blessed that everything in my past has prepared me to be of service to all who call Meigs County home. That is just a little of what I am. Now it is re-election time and a big decision must be made. Do I run for another term or not? To answer this question as an incumbent, I must answer some questions of myself. Have I been effective in my position? Have I developed good relationships with the people of the county, our legislators, other elected officials, and their staff? Have we seen real improvements in our budgets and the way our moneys are managed? Do we see real brick and mortar capital improvements and new facilities? Are we involved right now in major projects that need continual involvement and follow up to see successful completion? Do I have good health and an ardent spirit? Am I creative with an evolving vision of our county? Do I still feel that “calling from a higher power” that says “step up to the task”? To answer those questions, I am excited and invigorated to say yes, yes and yes. I could not walk away. So, with that I am compelled to ask for your support and involvement to realize the fullest potential for Meigs County and all who live here. Stand with me and my fellow commissioners, other elected officials, and employees of Meigs County that have accomplished so much in recent years together. I would consider it a privilege to continue to serve Meigs County as a Commissioner. A final note. Other may talk it, but I am doing it and it is well. So if you understand and believe the old phrase “If it’s not broke, don’t fix it”, rest assured, and vote to re-elect me to work for you a little longer.